Three years after the issue of his landmark solo recording, Highway Call (and countless inbred brawls and unholy wars among the Allman Brothers), guitarist, singer, and songwriter Dickey Betts released the debut by his "other" band, Great Southern. Attempting to capture the loose, easy feel of Highway Call and combine it with the more blues-driven sound of the Allmans, Betts was largely successful though the record does suffer a tad from overly slick production. Nostalgia, or at least the previous, is the backbone of Betts' sentiment as his vice rings through the guitars and rhythm section with conviction and a sureness that only comes out of the finest country-rock music. 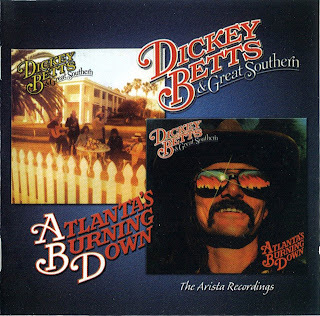 On his third solo outing -- and his second with his backing band Great Southern -- Allman Brothers lead guitarist Dickey Betts moves back into the deep-fried Southern boogie that the Brothers are (in)famous for and serves it up with just a smidgen of country and comes out with another winner. Once again the mood is laid back and greasy with the guitars taking center stage in a funky, spunky mix that concentrates as much on the backbeat as it does on the swinging Southern boogie blues. Hence Betts digs deep into New Orleans as a source of inspiration on tracks like "Good Time Feeling," "Dealin' With the Devil," and "Back on the Road Again." Again relying heavily on the harmonica stylings of Topper Price for color and nuance, Betts uses this cue as a way of bringing the entire band into the proceedings this time out. While it's true that his guitar is the centerpiece of the album, Great Southern is present more as a unit than as Betts' backing band. 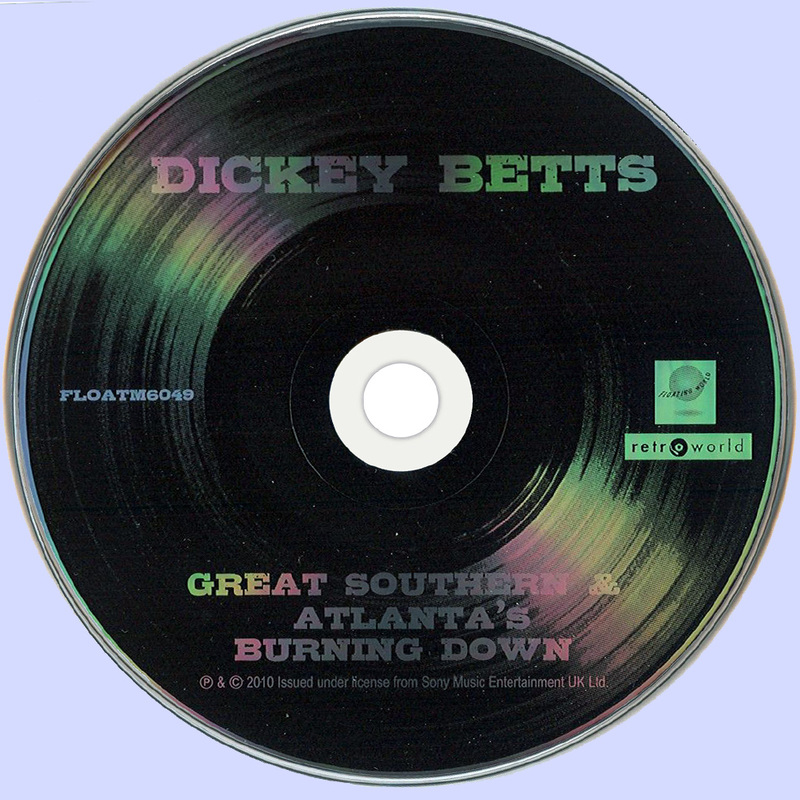 On the title track, a ballad that offers a ghostly narrative of the end of the Civil war, Betts also uses Bob Dylan's backing choir of Bonnie Bramlet, Clydie King, and Shirley Mathews for added emotional impact as well as a string section. While the string section could have been dispensed with, it doesn't hurt too much as the integrity of the song is so focused and sharp it's a minor nuisance. Production on this set is a bit muddier than on the Great Southern album that preceded it, and this is a good thing. There is more immediacy in the band's presence on the record than the studio's. Given that this was issued in 1978, when the bottom was about to drop out of rock & roll in favor of things like new wave and rap, this album holds up surprisingly well over two decades later. The shuffle and roll that was then Betts' trademark is refreshingly untouched by the production or musical excesses of the time. There is no attempt to be "relevant" or "cutting edge." But there is no retro feel on this disc either; it sounds consistent with a man's vision who's always considered himself right on time and still does. Loud, tough, and funky, Atlanta's Burning Down is a winner. All songs by Dickey Betts except where indicated. Marios, thanks for this two-fer. I am a big ABB and Dickey Betts fan. He is a supremely talented guitarist and songwriter and not half-bad as a vocalist either! Love the song Bougainvillea. If you run across Pattern Disruptive by Dickey, it would be a welcomed post also. Great work maintaining two blogs!!! 7zip ask for password. is there a password?